The CPS TM (Central Power System) is designed in compliance with standard BS 50171 and is particularly suitable for use in Emergency Lighting applications for either 1 or 3-hour duration. Additionally, units can also be used in other ‘emergency applications’ such as automatic fire extinguishing systems, alarm systems, and emergency detection systems. The CPS MM (Central Power System) is designed in compliance with standard BS 50171 and is particularly suitable for use in Emergency Lighting applications for either 1 or 3-hour duration. The CPS range is equipped with DUAL INPUT as standard on all models. This important feature allows the mandatory scheduled checks on system operation and autonomy to be carried out with extreme ease and in complete safety by simply operating an input switch. This switch interrupts the power supply to the machine without interrupting the bypass line, which is able to support the load in the event of test failure. Proper battery care is critical to ensuring correct CPS operation in emergency conditions. The systems integral battery care system consists of a series of features and capabilities designed to obtain the best performance, extend operating life and satisfy the recharge times imposed by BS 50171 and ensures high current levels are available for the batteries, allowing recharge of up to 80% of full autonomy within 12 hours. The CPS is suitable for use with valve regulated lead-acid (VRLA), AGM and GEL batteries and Open Vent and Nickel batteries. Different charging methods are available depending on the battery type. The recharge voltage compensation function based on temperature prevents excessive battery charges and overheating. The deep discharge protection prevents reduced battery performance and battery damage. As required by BS 50171, the CPS is designed and sized to support continuous overloads (with no time limits) of up to 120% of the machine’s nominal power rating. In line with BS 50171, protection against battery inversion ensures the safety of those carrying out maintenance operations on the devices and at the same time prevents damage to the system in the event that the batteries are inadvertently connected with the wrong polarity. 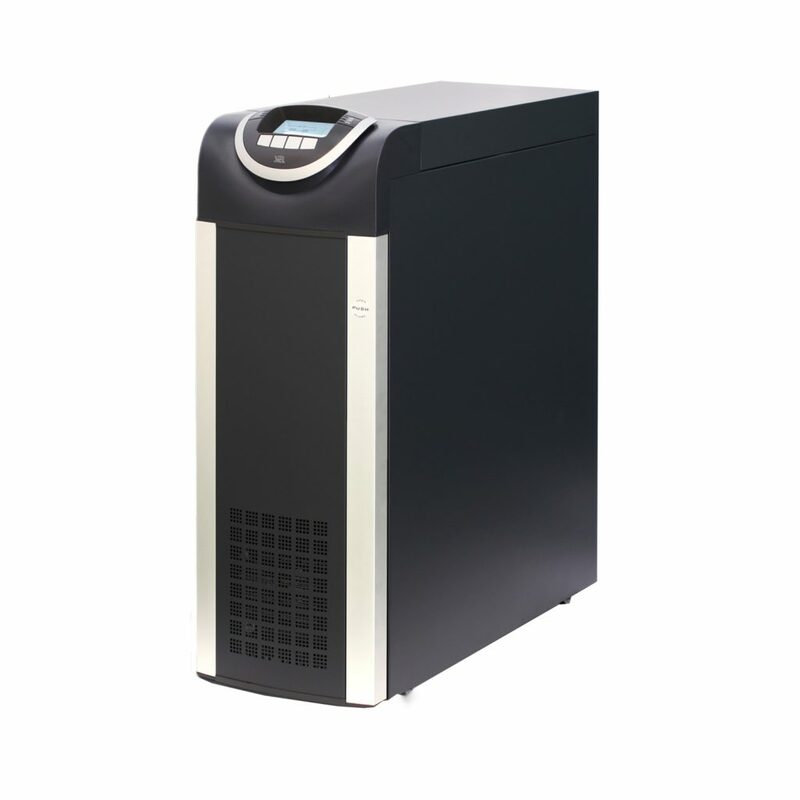 In addition to the features mentioned here, the CPS incorporates all the features of reliability and flexibility common to the UPS range it is derived from as well as compatibility with the equivalent UPS main options and accessories. The CPS range is based on both single-phase and three-phase models divided into two product families, optimised to offer maximum runtimes of 1 hour and 3 hours respectively at nominal load in accordance with the parameters set out in standard BS 50171. The model CPS MM is based on transformer-less technology, therefore providing improved efficiency and reduced weights and footprints.